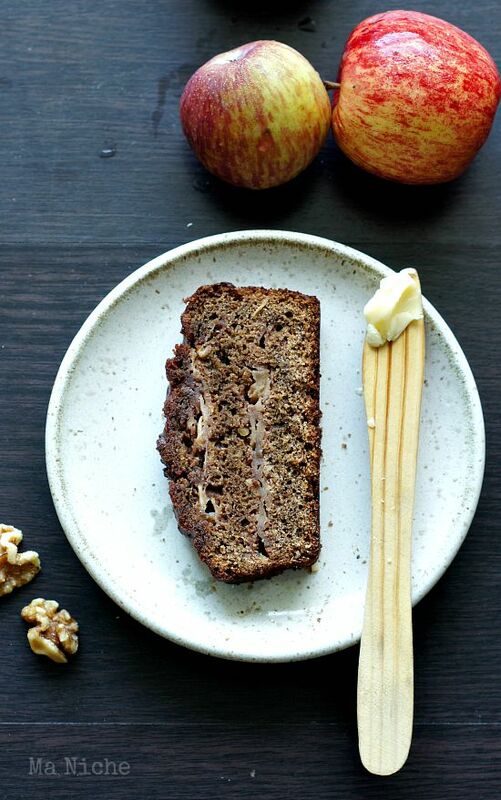 Banana bread is probably one those things which everyone bakes all the time. Each one following a time-tested recipe of her own which yields a lovely loaf every time. 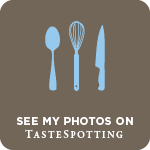 My favorite recipe is an adaption of Tarla Dalal's Banana Pecan Walnut Muffin Cake, an eggless whole wheat banana muffin recipe with layers of flavors added by the addition of nuts and raisins. Adding cocoa powder and chocolate chips to the basic batter always takes the bread up a notch so I unfailingly do it every time. But the other day when I set off to bake my regular banana bread, I realized that our stock of chocolate as well as that of dry fruits needed a refill. A search for an alternate recipe led me to a series in The Kitchn on the hows and don'ts about banana bread. And thus was born this new wholegrain caramelized banana bread recipe. First caramelize the over-ripened bananas. For this, preheat the oven to 325° F. Coat the peeled bananas with 1½ to 2 tablespoons of honey and put them in a baking tray lined with parchment paper. Bake the honey-coated bananas in the preheated oven for 30-40 minutes until they look caramelized. Transfer the caramelized bananas into the mixing bowl. Mash them with a fork. Add honey, ⅓ cup yogurt and sugar to the mashed bananas. Mix well. Then add the peanut butter to the mixture. Add all the dry ingredients in a bowl and mix well. Now gently incorporate the dry ingredient mixture into the mashed banana mixture taking care not to over-mix the batter. Bake the bread in the preheated oven for 55-60 minutes until the loaf pulls away from the sides of the pan and comes out easily on tilting the pan. 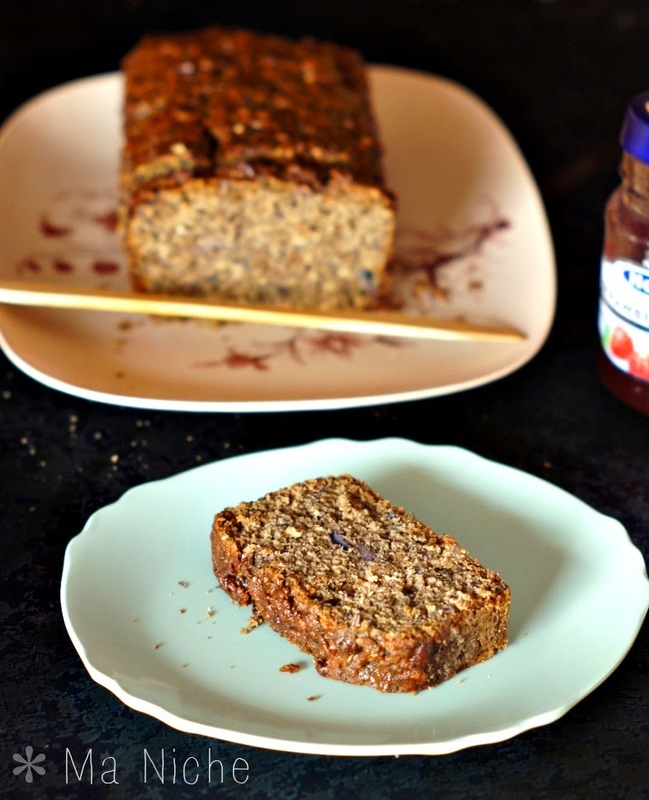 here are few other recipes that call for over-ripened bananas.. 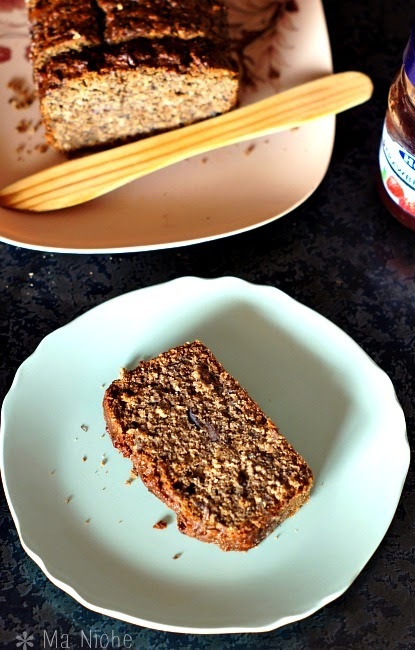 I love bananas in bread and I am really curious to try out this one... bookmarked! Hope you like it Rafeeda ! What a fun twist to caramelize the bread! 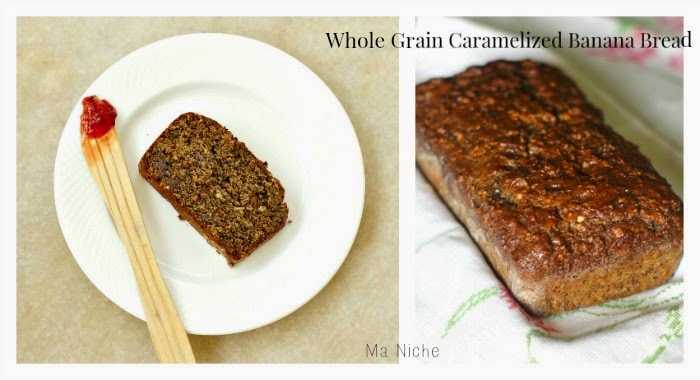 What a delicious way to make banana bread - love the caramelized bananas! This is such a wholesome recipe too. Thank you for sharing it with us at the Hearth and Soul hop. 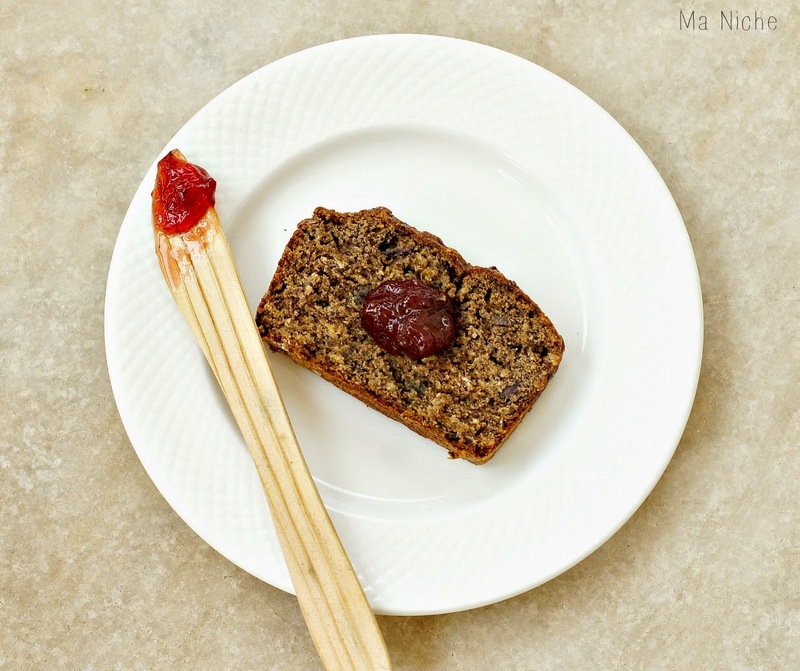 caramelized banana bread looks delicious Tanu, thanks for sharing with Hearth and soul blog hop. pinning and featuring on this week's hop.